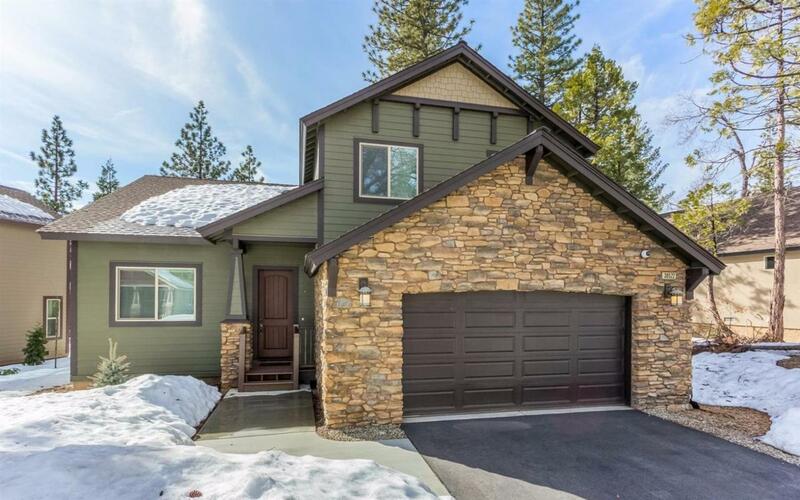 This stunning mountain home is located in Shaver Lake's Sunrock development. The home is like new and has several impressive finishes, including reclaimed wood walls, stone inside and out and granite counters throughout. This home also features a beautiful custom built-in wine frig, stainless steel appliances, custom window coverings, an elegantly finished garage and much more. The home's high-tech security system includes an alarm and outdoor security cameras which can be controlled with an app, along with the thermostat and lighting. The open living room and kitchen is great for entertaining and a second master suite accommodates guests nicely. The kids will have a blast playing on the large jungle gym in the back yard or relaxing in the upstairs loft. The home is offered fully furnished at the asking price. You have to see this home to fully appreciate the finishes and workmanship! Cross Street Address Kighway 168/Ockenden Ranch Rd. Listing provided courtesy of Christopher Byrnes of Landmark Properties.